In an ugly display of misuse of power, an IAS officer got a gardener arrested and sent him to jail. The gardener's fault was that he was cutting grass in the park and this 'disturbed' the officer. The incident occurred in Gorakhpur in Uttar Pradesh (UP). 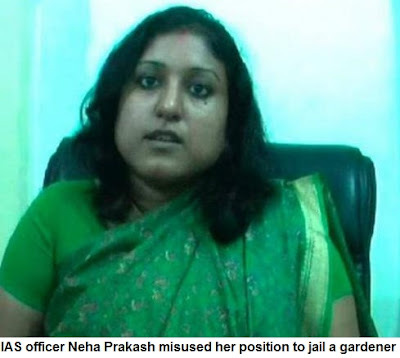 Neha Prakash, the IAS officer, who is on probation, and posted as sub-divisional magistrate, got the gardener booked for 'disturbing public order'. Neha Prakash had gone to the park, where the gardener Vishwanath was busy cutting grass. The 'officer' told him to stop. However, the gardener Vishwanath told her that he was doing his work. This angered he so much that the gardener was not only taken booked in a false case and taken to police station but was also arrested and later jailed. Why was Neha Prakash angry? A large number of people come to the Govind Vallabh Pant park in Gorakhpur for morning walk. The officer had also gone there for meditation. Firstly, if she was 'allergic' to dust, as a report claims, she could have gone to another spot. As per other version, she didn't the like the 'noise' of the machine. In fact, reports say that the gardener, who is Gorakhpur Development Authority employee had even stopped for a while, when she objected. But as he again started cutting grass, with the machine, she got angry. Cheap VIPs, huh! Was it her arrogance or contempt for a person doing manual labour, that she not only decided that this was 'disturbing public order', but also got him arrested, and sent him to jail, by falsely implicating him. Clearly, these officers are no better than the era of British Raj, in their contempt for ordinary Indians. The British were at least foreigners, who came to rule. 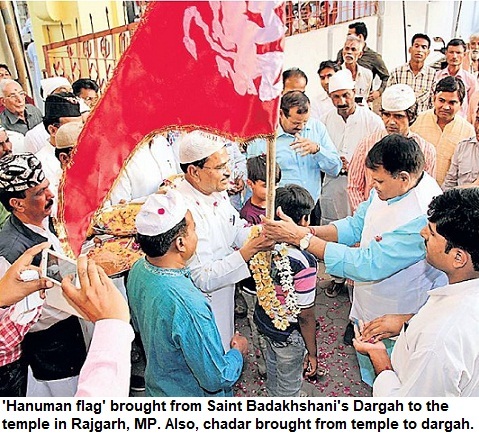 But these officers, who are supposed to be 'jan sewak' (public servant), act like masters. This is not acceptable at all. The blatant misuse of authority and flouting rules has shocked people. After TV channels flashed the report, there was public anger against the action. However, the damage had been done, already. Vishwanath's colleagues and friends had to arrange money to furnish Rs 1 lakh bail bond to get him released. But not before he spent 30 hrs in the prison. That's not the sole such incident of a bureaucrat misusing authority. Just recently, another officer got a person arrested in similar manner in UP. The officer, Harshita Mathur, was upset when a person who came to hand her a memorandum, took photograph of handing over the memo. Angry, she called the police. The person was sent to jail. Though political workers often get themselves photographed while handing over memorandums, and it may not be permitted by every officer, but getting someone arrested under section 151, is utterly condemnable. WHY NO ACTION AGAINST NEHA PRAKASH? The incident has been reported in electronic and print media, yet, the government hasn't taken any action in this regard. The IAS associations are quick to take stand and talk of humiliation when there are transfers of officers, but no word from them when a fellow officer treats an Indian citizens in this way--by misusing authority, shamelessly. Has UP Chief secretary sought an explanation from Neha Prakash as yet? Has she been sent a disapproval note or any probe initiated? Or it is that they don't even think, it is worth any action. After all, insulting a common citizen or misuse of power by an officer or cops, is the rule in this country!